Protect your precious memories and important files. You've taken the time to store it on your desktop or laptop computer. Everything that matters to you, from financial to sentimental. But you're just one system error, one spilled coffee, one stolen backpack away from losing it all. Yet this scenario is so easy to prevent. You must know by now that computers can and do fail and you usually get no warning before it's too late. Fortunately, backing up your data is no longer the chore that it once was. USB Flash drives - These ultra portable drives may be small, but they offer generous storage capacity, quick and easy data back up. They are also great for transferring files from one PC to another. Hard drives - Our range of external hard drives are compact in size but give you huge storage capacity with a USB Connection for Plug & Play use. This is perfect for backing up bigger files. DVD Writers - These are ideal for archiving smaller files which can be simply saved on a CD or DVD. Online Backup - Provided by several companies and now even some anti-virus software. Put all the documents you create, the pictures you take, and the music you buy in a single master folder. Divide that master folder into sub folders to keep your files organized. Backing up your data becomes much easier if you only have one folder to back up. When all your personal files are in one place, you are less likely to forget a file when you back up. Organisation is the key. Get in the habit of backing up your files regularly. If you work on your computer daily, you should back up important files daily. Then, back up everything at least once a week. Better still, look for backup software that backs up your data automatically and instantly without manual or scheduled backups. You don't have to back up your entire system. That's a time consuming task that only duplicates all the issues you've built up over time on your hard drive. Save personal documents. The most important things to protect are files you create yourself. Whether they are text documents, e-mail messages, pictures, music, videos, or game saves, if you made them, you want to save them and keep them nearby. It's also helpful to back up the configuration settings for any programs you use, along with critical Windows data such as the registry. And don't forget to make a duplicate copy of anything you have stored on external devices such as memory cards. Use backup Options to automate your backup. You can make mistakes or omit something important if you back up manually. An easy-to-use backup program creates a backup of your data reliably and automatically, keeps logs, and notifies you in case of any problem. You can back up to CDs or DVDs, but this is a slow, manual process. And contrary to popular belief, most CDs and DVDs are not permanent. Low-priced CDRs may not be readable at all in as little as two years. The best backup medium is an external hard drive. High capacity external drives are very fast and allow you to keep all your saved data in one place. For extra safety, get a two-drive external storage system and dedicate half the capacity for mirroring to automatically and instantaneously back up every time. However, external hard drives are very sensitive to shock, so we strongly recommend that you think of an external hard drive as a solution for backing up and not storing the original documents on. 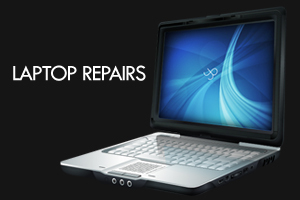 Screen, keyboard, touchpad,fan,heatsink, motheboard, hard drive and optical drive replacements. Memory upgrades, MALWARE and VIRUS removal. Which type of printer? 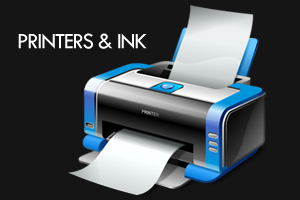 Inkjet, photo, all-in-one and laser printers? Let us clear it up for you. 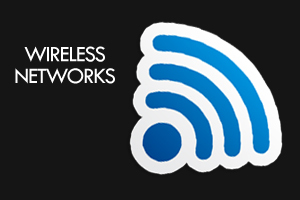 So how do you get that laptop working on the internet wirelessly around your home? Let us show you what you need. © 2012 Monkseaton Computers, All Rights Reserved.